China has successfully launched on Tuesday, Nov. 22, a Long March 3C rocket carrying the country’s fourth Tianlian-1 data tracking and relay communications satellite. 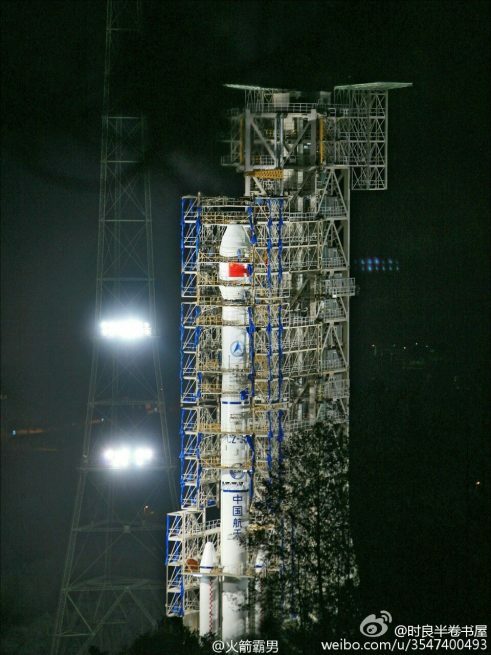 Liftoff took place at 11:24 p.m. Beijing time (15:24 GMT / 10:24 a.m. EST) from the Xichang Satellite Launch Center in the southwestern province of Sichuan. Launch of the mission was originally targeted for Nov. 20 but was postponed two days. However, the cause of this delay has not been revealed by the officials. Details about the launch campaign and flight profile are also kept under wraps as China disclosed only basic information on this topic. According to Chinese media outlets, the satellite arrived at Xichang on Oct. 10. After liftoff, the Long March 3C rocket started its short vertical climb before turning southeasterly. Powered by its core stage and four liquid-fueled boosters, the launcher flew in this configuration toward the Pacific Ocean for about two minutes and 20 seconds. Then the twin boosters were jettisoned, leaving the launch vehicle accelerated by the first stage’s cluster of four YF-21C engines. Approximately 18 seconds later, the core stage burned out and separated from the launch vehicle. Control over the mission was assumed by the second stage igniting its engines for a three-minute long burn. After separation of this stage at over six minutes into the flight, the third stage fired its one YF-75 engine. During its 20-minute flight, the third stage conducted two burns to reach a targeted altitude for separation of the satellite. The spacecraft was released into a geostationary transfer orbit (GTO) slightly more than 26 minutes after launch. Developed by China Academy of Space Technology (CAST) the Tianlian-1 No. 4 satellite is based on CAST’s DFH-3 bus like its predecessors. Weighing around two metric tons, the box-shaped DFH-3 platform has dimensions of 7.28 ft × 5.64 ft × 7.2 ft (2.22 m × 1.72 m × 2.2 m). It features two deployable solar arrays and a communications antenna. The bus provides up to 1,700 W of power for a designed lifetime of eight years. Xinhua state-run press agency revealed that Tianlian-1 No. 4, along with the previous satellites in the series, is expected to provide data relay, measurement, and control services for China’s manned spacecraft, space labs, and space stations. 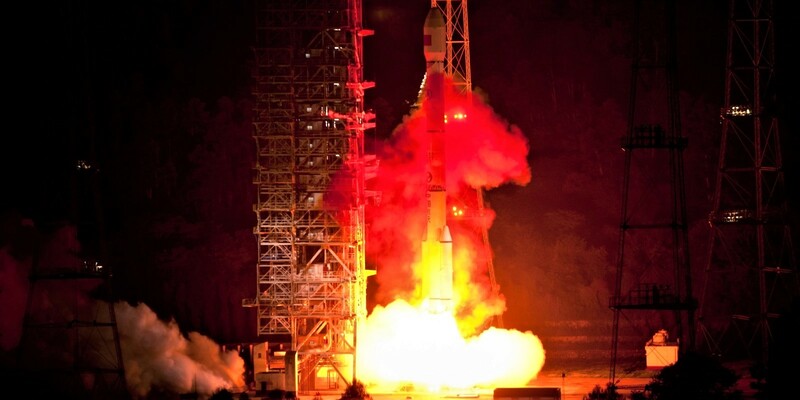 The Tianlian network will also offer data relay services for the nation’s Earth-orbiting resources satellites, as well as measurement and control support for spacecraft launches. Functionally, the network is similar to the U.S. Tracking and Data Relay Satellite System (TDRSS). To provide its services, the Tianlian satellites host multiple communications payloads supporting a variety of services such as fixed satellite communications, international communications, regional data links, wideband communications, mobile communications, secure military communications, and spacecraft relay. 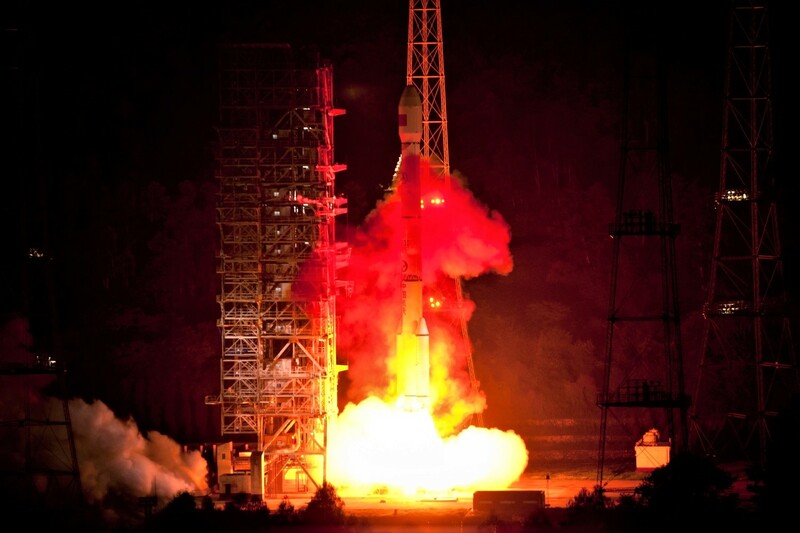 The first Tianlian spacecraft was launched into space on April 25, 2008. Tianlian-1 No. 2 was orbited three years later, on July 11, 2011, while the third satellite in the series was delivered into orbit on July 25, 2012. The network comprising three Tianlian-1 spacecraft was already enough to achieve global coverage for China’s tracking and data relay system. The 185 feet (56.3 meters) tall Long March 3C rocket that was used in Tuesday’s mission is a three-stage launch vehicle, designed to deliver up to 3.8 metric tons of payload into a geostationary transfer orbit (GTO) and up to 9.1 metric tons to low-Earth orbit (LEO). Its maiden launch was conducted on April 25, 2008, when it lifted off the first Tianlian satellite. November has been a busy month for China in terms of space launches as it has conducted so far four orbital mission this month. The country has already launched 19 space missions this year and Tuesday’s liftoff was also the 241st Long March rocket launch overall. China’s next orbital flight is currently scheduled for Dec. 11 when a Long March 3B booster will send the Fengyun 4A weather satellite into space. The rocket will lift off from Xichang.